Torani is a name synonymous with coffeehouse culture. I've bought other flavoring syrups before and been sorely disappointed. Torani syrups are always more flavorful than merely sweet. I'd compare the difference to that between real maple syrup and the cheap stuff you buy in plastic jugs. Not the same thing, at all! 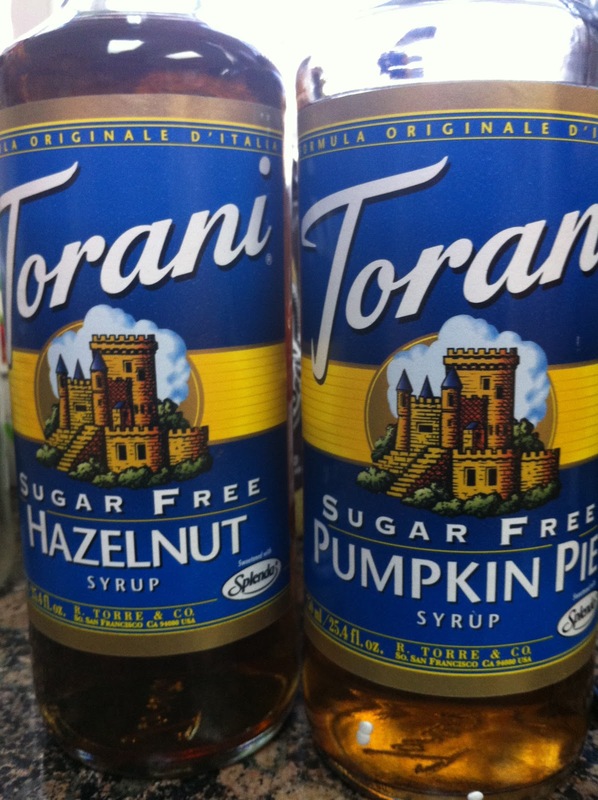 I usually use my Torani syrups to spike my coffee. I received a couple of bottles of the sugar-free Splenda-sweetened varieties to try and they are just as decadently delicious as their higher calorie peers. Hazelnut is a flavor I usually purchase to make lattes at home but there are plenty of other recipes you can use it for, like Brussel Sprouts with Hazelnuts. Can you imagine? I'm definitely going to have to start thinking out of the box with these syrups. 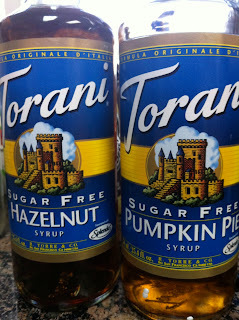 Torani Pumpkin Pie syrup is predictably delicious in lattes. It's an especially welcome flavor as the holidays approach, in coffee and even in mixed drinks. I like to make my own Bah Humbug Not-Nog Egg Cream with a shot of pumpkin pie syrup, a shot of cream and a cup of seltzer. I'm planning to submit it as my entry in the Torani Holiday Cheers Contest, what do you think? Enter your favorite Torani recipes and you could win special Mr. Coffee prizes along with your favorite Torani Syrups each week through December 9th. What sorts of recipes do you like to use flavored syrups in? Get 10% off your whole order at Torani.com through November 30 using code SHESPEAKS. 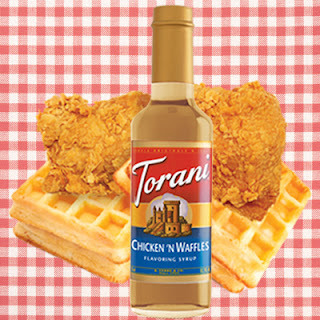 Follow Torani on Twitter and Like Torani on Facebook for more recipe ideas and new products. In accordance to the FTC Guidelines and the WOMMA Code of Ethics, I am disclosing that I received samples from Torani andSheSpeaks to facilitate this review. No other compensation was provided. All opinions are, as usual, entirely my own. I'd be up for that bacon syrup absolutely-ootley!